Jeff Bezos’s decision to use Medium to make his bombshell accusation that American Media Inc.—National Enquirer’s parent company—attempted to extort him got many people interested in the growing blogging platform and its unique role in the new digital media ecosystem. Bezos, the owner of the Washington Post, has access to all the major news outlets, but he understood that Medium will be the best channel through which he could control the narrative and get instant exposure. Media scholars have studied and documented the biases that news organizations have toward their owners’ interests, their advertisers, their audience, and their sources (“access bias”). Tracking these biases usually involves analyzing the published content, the editorial agenda, the framing of stories, and the “priming” of certain issues. One thing that media scholars can’t measure or research, however, are the stories that never get published. Likewise, they can’t study the news and information that is gathered and produced not with the intention to publish, but rather to be used as political and economic leverage. The assertion that blackmail and politicking are part of AMI’s business model (AMI denies this, as well as Bezos’s claim that he was blackmailed) did not shock many people. The non-prosecution agreement AMI signed with the Justice Department last September detailed how the company was used as a vehicle for “catch and kill” stories about the extramarital affairs of President Trump. But this type of behavior is hardly exclusive to small players operating in the margins of the media industry like AMI. In a 2014 interview with acclaimed investigative journalist Lowell Bergman, Michael Wolff (who wrote a biography of Rupert Murdoch) said “[Murdoch] likes to cultivate the sense that he knows more than you know and that he has information that he can use. So on any number of occasions, he will have said to me in reference to somebody, or—he goes, ‘We have pictures of him’. In other words, the implication is, ‘We have pictures of him in some kind of comprising situation’.” (Former Labour leader Ed Miliband has also accused Murdoch of blackmail). Economists Rafael di Tella and Ernesto Dal Bó describe tacit threats to the reputation of politicians and public officials as an important feature of the political economy of many countries. Di Tella and Dal Bó posit that a rational public may also choose to ignore negative media reports about a politician’s personal life, since politicians who are willing to go after powerful special interest groups tend to face recurring threats. The prevalence of coercive (and often tacit) methods of influence, they contend, helps explain how countries come to be governed by “inept politicians,” particulary developing countries where the risk of reputational harm is accompanied by the danger of physical violence. Of course, establishing the existence of such tacit threats requires a lot of data and anecdotal evidence, and this kind of evidence is very hard to find. Most public figures who are threatened or blackmailed by powerful media outlets will choose to strike a deal. 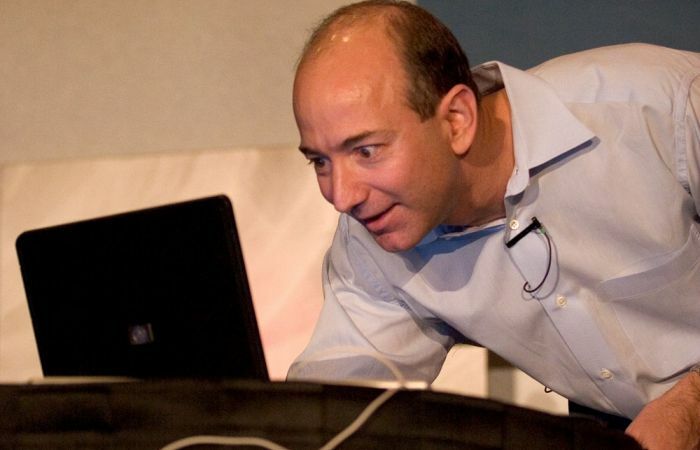 Bezos, the world’s richest man, was willing to pay a heavy price and expose himself in order to send a signal to his opponents that he is not the kind to be bullied. Faced with the threat of having embarrassing photos of themselves exposed, most people would have caved. Bezos, thanks to his enormous financial resources, can take the risk of going after people who attempt to blackmail him. For politicians or regulators, however, a tarnished reputation often leads to their career being destroyed. Bezos is not the only well-known public figure that claims he was blackmailed. Later this month, Israel’s attorney general will decide whether to press criminal charges against Prime Minister Benjamin Netanyahu for attempting to negotiate a potential bribe with Arnon “Noni” Mozes, the most powerful media mogul in the country. According to tapes of their discussions released through the media, Netanyahu attempted to receive favorable coverage in return for weakening Mozes’s main competitor. According to people close to him, Netanyahu intends to claim in his defense that he was bluffing and that he taped his negotiations with Mozes because he was being blackmailed: Mozes allegedly threatened to go after him and his family and destroy their reputation. The question whether Netanyahu was indeed extorted or simply attempted to bribe his way to favorable media coverage remains open, and may have to be resolved in court. An indictment and conviction of either Netanyahu or Mozes, however, will shed light on an important and hidden side of the news media: its power to gather information as a political tool and self-censor important stories as part of extortion deals. Interestingly enough, as the New York Times noted last week, the first laws concerning blackmail were enacted in Scotland in the beginning of the 18th century. According to the early Scottish law, both parties involved in blackmailing schemes were considered criminals: “The reason the givers are liable is because they maintain the thieves.” If indeed he was blackmailed, Netanyahu, who was preparing for a critical election, chose to “maintain the thief.” Bezos, meanwhile, chose to expose both himself and (allegedly) an experienced extortionist who has for decades struck all kinds of deals regarding what to publish and what to keep from the public eye. The Bezos-AMI scandal, therefore, is a good opportunity to discuss not only the question of Trump’s connections with specific rogue players, but also how to identify and punish news organizations that rely on extortion as part of their business model.